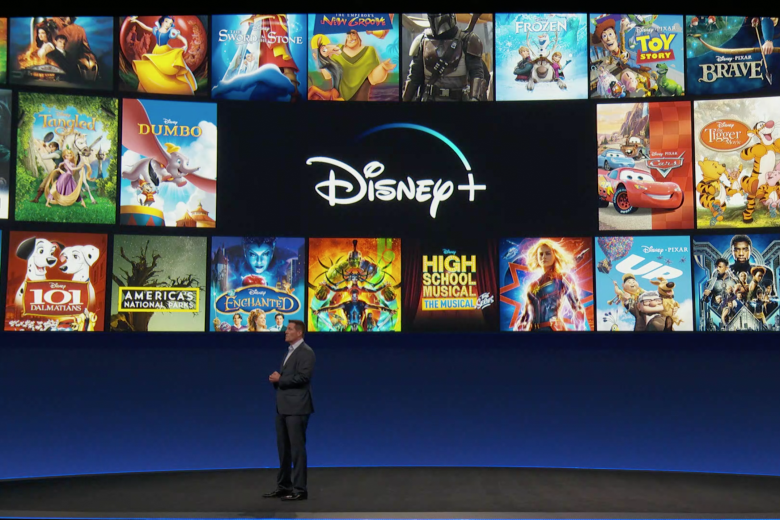 Disney has provided a first look at their highly anticipated video streaming service that is set to take on global streaming leaders Netflix and Amazon Prime. Disney Plus will roll out in the US initially on November 12 at a price of 6.99 dollars per month, or 69.99 dollars per year. The service’s lineup will cover five categories of content from Disney's major entertainment brands: Disney, Pixar, Marvel, Star Wars and National Geographic. Release dates for other regions including the Middle East have not been announced. Disney has been working behind the scenes for more than a year to launch the service which will be called Disney Plus. The recently completed acquisition of 20th Century Fox assets allows the global media giant to focus all its resources on entering the streaming video on demand market. Thursday's press conference provided the first glimpse of the offerring the media & entertainment powerhouse has planned to take on Netflix and a formidable cast of competitors, including Amazon, HBO Go and Starz, as well as a large number of niche services and regional SVOD players around the world. New shows which will already be available with the launch include The Mandalorian, the first live-action Star Wars episodic series, directed by Jon Favreau; a prequel to the Star Wars film Rogue One, starring Diego Luna; a series based on the Marvel character Loki, starring Tom Hiddleston; and a new documentary series focused on Disney. While Disney ramp up their slate of original programming, Disney Plus will also be able to draw upon a library of beloved films owned by the various studios and production companies it controls. Disney's large selection of animated classics like Aladdin and The Jungle Book, will be available on the service when it launches. Chief executive Bob Iger said Disney is approaching the streaming industry from a “position of strength, confidence and unbridled optimism.” Although Disney has an enviable track record of producing shows and films that attract huge audiences, its attempt to build its own Netflix is risky. With a budget of tens of billions of dollars, Netflix already has build up a much deeper original programming lineup during the past few years. Disney has ended all content licensing agreements with Netflix foregoing millions in short term revenue to build it's own direct to consumer service. Disney said it will continue to give their major films a theatrical release, unlike Netflix which is disrupting the cinema industry by releasing their blockbuster productions just days after a theatrical release. Going forward, Disney movies set to release in 2019 will be streamed only on Disney Plus. That includes Captain Marvel, which came out earlier this year; Avengers: Endgame, which releases in late April; Upcoming marquee films like the live-action remakes of The Lion King and Aladdin, Toy Story 4, and Star Wars Episode IX. Disney will also have to deal with a new streaming competitor in the form of Apple TV, which is expected to be released in the fall. Apple has not yet revealed how much its service will cost. 03:59a NETFLIX : Jacqueline Fernandez to make digital debut with Netflix's 'Mrs Serial ..